Barry M are really starting to make their mark in the beauty world and venturing out from just nail products. I'm not the biggest fan of their make up but this product is so handy to have on your vanity and could easily but used as a dupe for the Smashbox Photo Finish Primer Water. The idea is that you use this before applying make up and after your moisturizer and it prolongs the wear of make up whilst creating a base for your make up to sit on. It claims it is hydrating, light-weight, smoothing and pore minimizing. I can vouch for the light weight and hydrating claims but my pores don't appear smaller and I don't think this would have much effect on really dry skin. 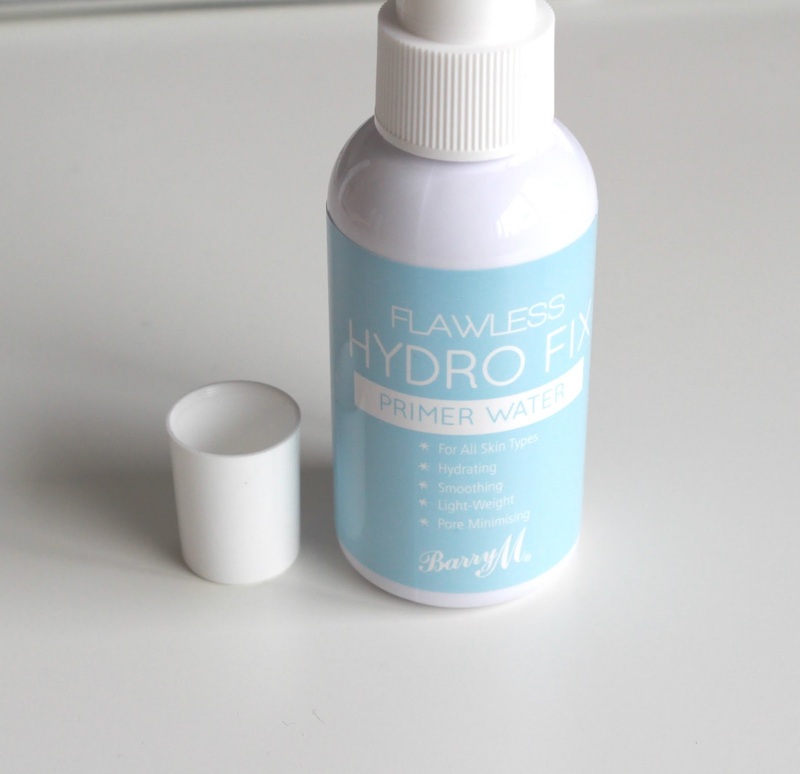 It's worth giving this primer a try but I recommend pairing it with another to get a more flawless make up application. The Body Shop is pumping out brilliant vegan and cruelty free skincare like there is no tomorrow. I've always been a fan of their body products and frequent sales offering great discount but venturing into their skincare ranges has made me like them even more! 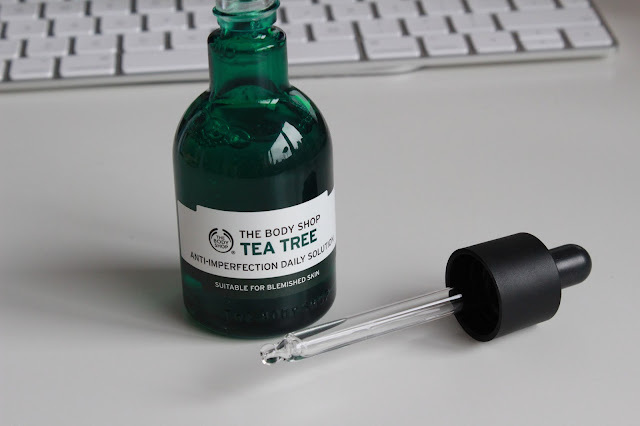 This Tea Tree Anti-Imperfection Daily Solution is a "A lightweight, pre-serum concentrate" that after 4 weeks is supposed to help skin look "purified healthier mattified and soothed with reduced redness". That is a lot to claim! 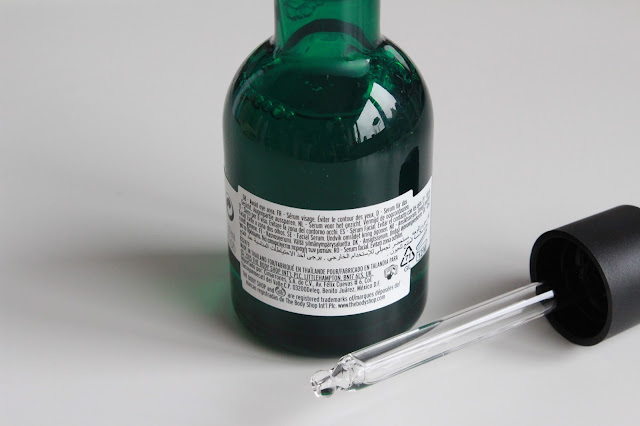 It is a super lightweight almost watery consistency that you, using the dropper, drop onto your hands then apply to your face. It has a moderate tea tree smell but nothing too overpowering. After around 2 weeks of using it at least once a day, I have definitely noticed my skin has become less red and the blemishes are slightly less noticeable. I really recommend The Body Shop's skincare ranges as they are mostly vegan, natural and don't contain too many harsh chemicals or perfumes. 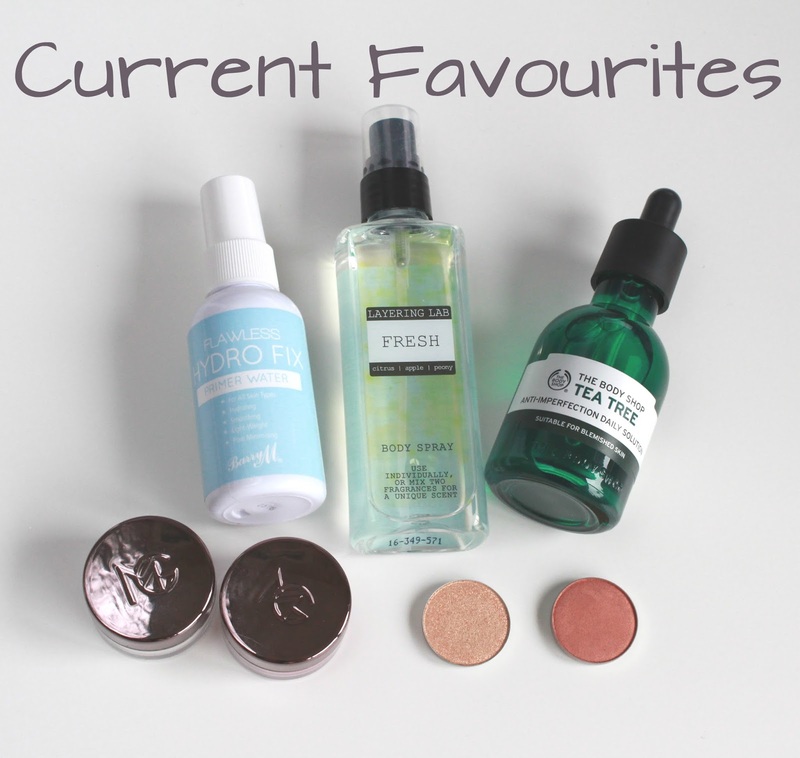 In my search for vegan and cruelty free skincare, beauty products etc I have been using more and more of Superdrugs own products. See that little bunny on the back of the bottle? It means its certified by PETA's Beauty without Bunnies program. Every Superdrug product I've picked up has the bunny, which is a great thing to see. 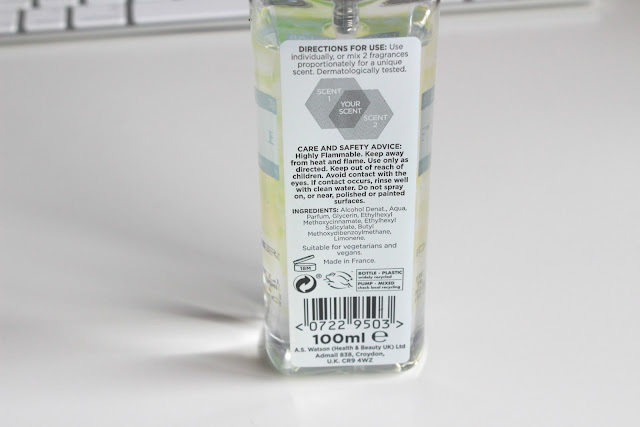 This new range has the 'create your own fragrance' premise where you mix 2 different sprays together to create a new unique one. There are 6 scents to choose from and they cost £2.99 each. I really like the idea of being able to create your own scent however I think I would just forget to put two on so I just bought one and I'm really liking it so far! "Sparkling fruity trail where citrus and grapefruit melt with juicy apple and sweet pear. The aquatic floral heart of peony then leads to musk’s softness. 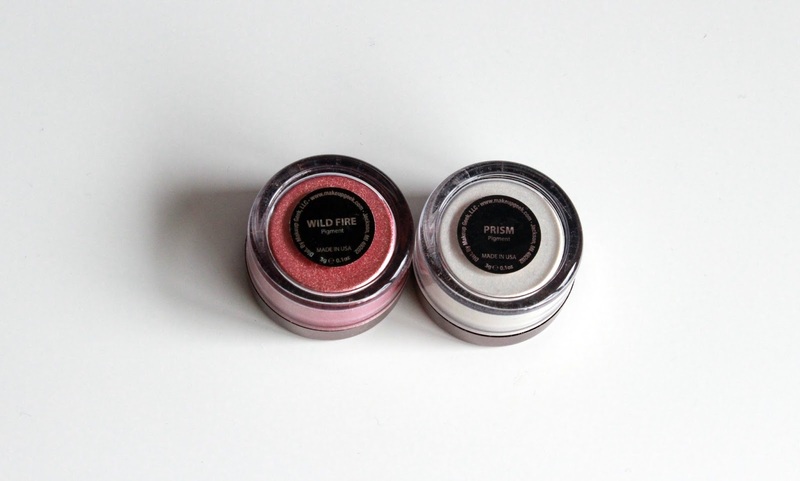 As fresh and pure as the morning dew"
For past year Makeup Geek has been my weakness. They constantly produce vegan and cruelty free long lasting, highly pigmented beauty make up which shows that brands do not need to test on animals to get good quality products. 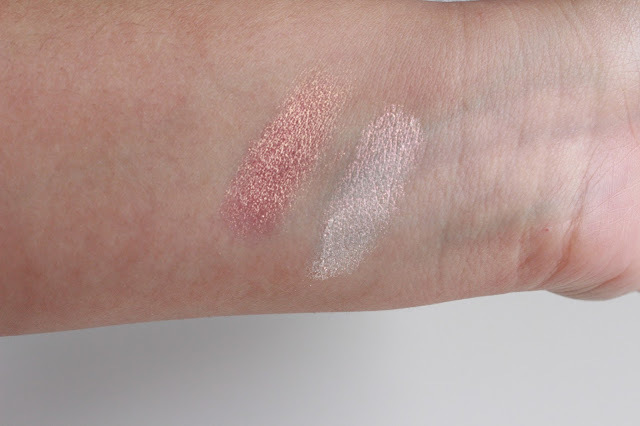 As soon as I saw the swatches of these pigments I had to have them! Pigments are something I am still a little scared of. 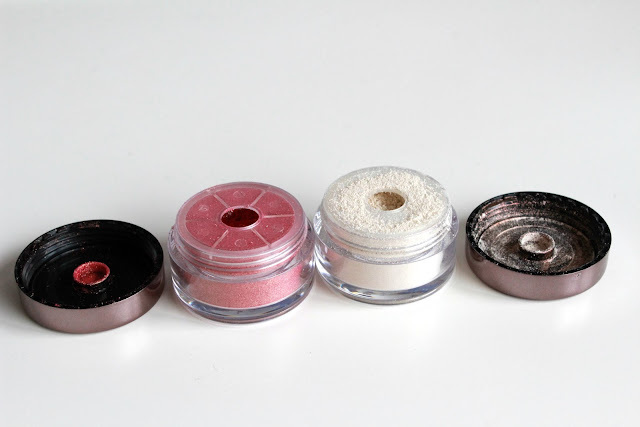 Loose powders, especially glittery ones can get everywhere and cause such a mess. These beautiful shades come in small handy pots with a little hole in the top. This means you can simply shake a little out into the cap and pop your brush into that instead of having a fully open pot where product can spill out. Pigments can be used wet (with a damp brush, sponge or with setting spray) or dry (no moisture used with the brush). I personally apply a base layer dry then use some kind of setting spray for a second or third layer to increase the intensity! 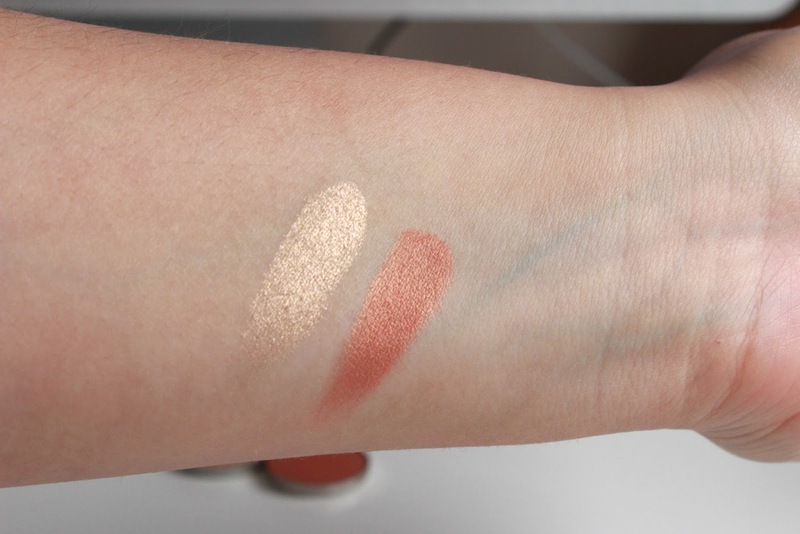 Wildfire looks dark and pink in the pot but swatched it is more of a copper colour with gold/yellow reflects. Prism looks more of an ice white colour with pink reflects. 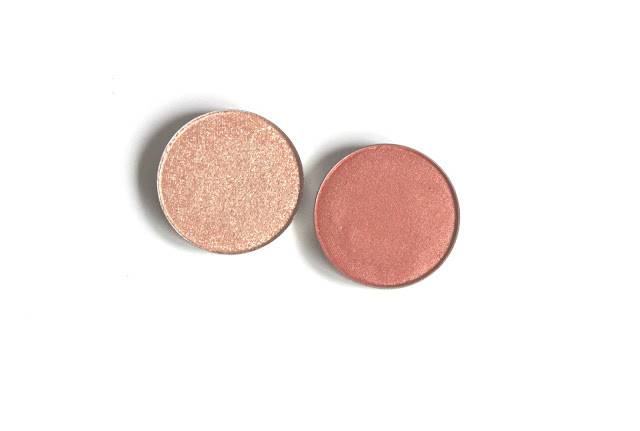 Both are really wearable despite how they look in the pot and their intensity can be easily built up depending on the look you are going for. Anastasia Beverly Hills recently launched their UK website and even though you can find their products on website such a Beauty Bay and Cult Beauty, you can find products that those other websites don't stock. Their website stocks single shadows, lip glosses and liquid lipsticks which you cannot buy from the secondary website. Their shadows retail for £10 each but they have 2 great deals where you can buy either, 4 shadows for £30 and get a free 4 well palette or, 8 shadows for £50 and get a free 8 well palette! I've bought both of these bundles and it really is worth the money, you save some £££ which is always a bonus! I've wanted to try ABH shadows for ages and they do not disappoint!